ABOUT: Marty McFly, a 17-year-old high school student, is accidentally sent thirty years into the past in a time-traveling DeLorean invented by his close friend, the maverick scientist Doc Brown. 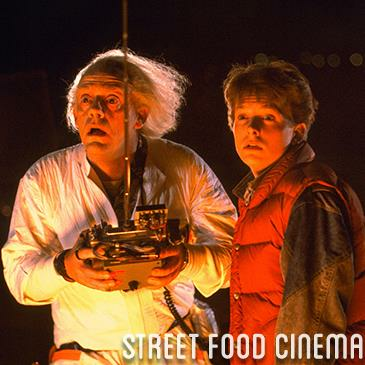 LIVE MUSIC: Visit www.streetfoodcinema.com/back-to-the-future/ for the most current Live Music listing! FOOD TRUCKS: Visit www.streetfoodcinema.com/back-to-the-future/ for the most current Food Truck listing!